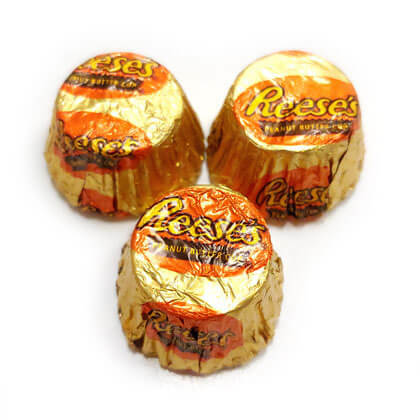 8 oz bag of mini Reeses PB cups. Individually wrapped. Approx. 2 cups per ounce.